Richardson is out. The man Obama touted as “the best man for the job” of Commerce Secretary is withdrawing his nomination amid a grand jury investigation into a pay-for-play scandal in which it is alleged that as governor, Richardson granted a transportation contract worth $1.48 million in exchange for political contributions. But the investigation was well-known to Obama when he announced the Richardson nomination, so the explanation that Richardson didn’t want an investigation to, “delay the confirmation process,” is nothing but deep-dish Chicago-style horsehockey. Something has changed. The most logical assumption is that Richardson is guilty and the investvestigation may turn into indictment. A developer in New York state donated $100,000 to former President Bill Clinton’s foundation in November 2004, around the same time that Senator Hillary Rodham Clinton helped secure millions of dollars in federal assistance for the businessman’s mall project. Hillary Clinton helped enact legislation allowing the developer, Robert Congel, to use tax-exempt bonds to help finance the construction of the Destiny USA entertainment and shopping complex, an expansion of the Carousel Center in Syracuse. The Clintons? Corrupt?! Who woulda thunk! Add these scandals to the Blagojevich appointment selling, and the upcoming Rezko and Hsu sentencings, and Obama, as president-elect, is already involved in more real corruption than the Bush administration saw in all eight years. Precisely the kind of “change” those of us paying attention to Obama’s record warned he would bring. The captions practically write themselves. The new status symbol among freedom-loathing liberals everywhere? 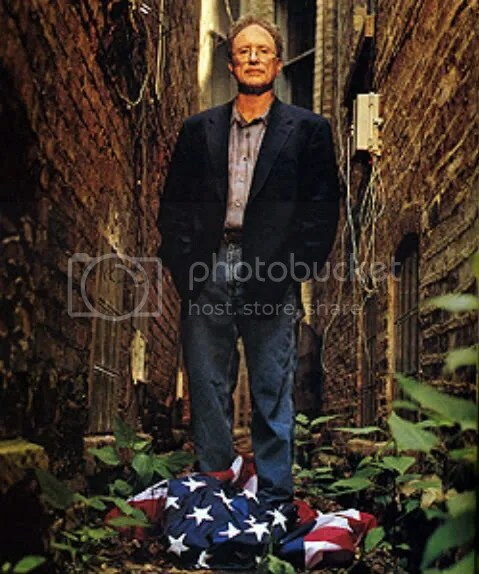 None other than Barack Obama’s own America-bombing, Stalinist mentor and partner in pro-communist education indoctrination reform, Bill Ayers. The Huffpo’s got him! It’s the “in” thing. His column is largely about education, and while he writes disarmingly of “democratic education” and teaching our children to “think for themselves,” his career teaching America’s educators how to teach proves he is interested in precisely the opposite: a radical all-encompassing propaganda campaign to brain-wash your children into believing that America and capitalism are evil and communism is good. It’s no wonder the Huffpo wanted him! A weekly column by Kim Jong Il is reportedly still in the works.